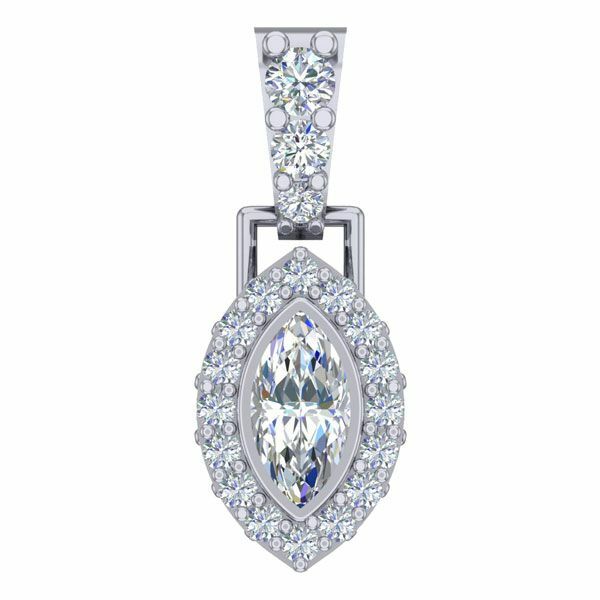 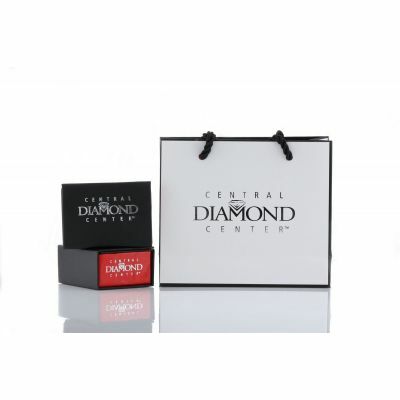 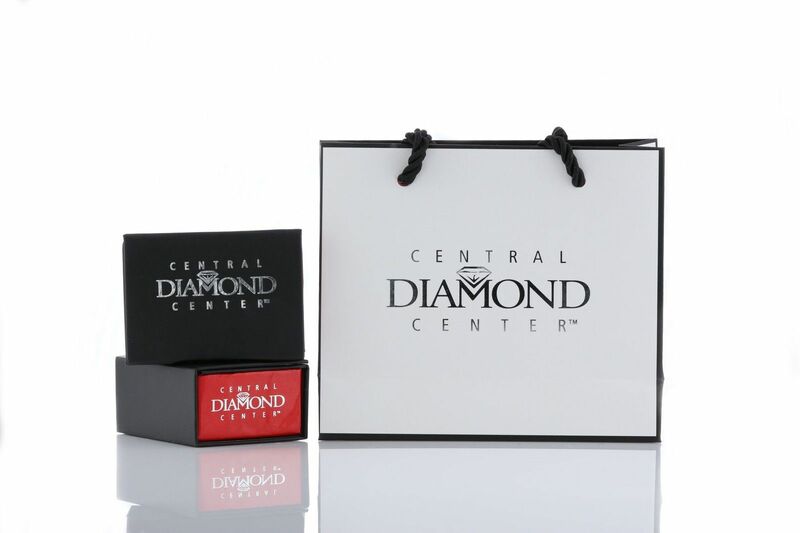 This beautiful marquise stone pendant can be customized to fit your desires. 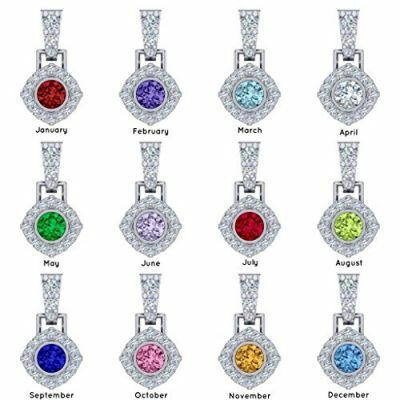 This pendant is currently available in silver, and you can further customize this lovely pendant by selecting the type of gemstone for the center stone. 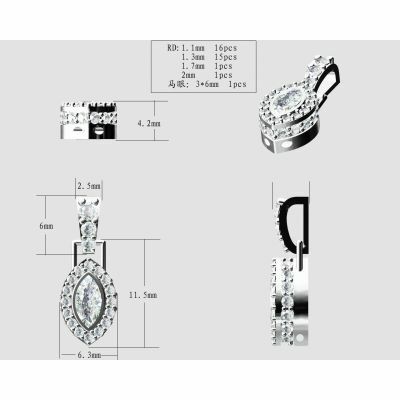 This pendant contains a 3.6mm center stone, 16 round 1.1mm stones, eight round 1.3mm round stones, one round 1.7mm stone, and one round 2mm stone. 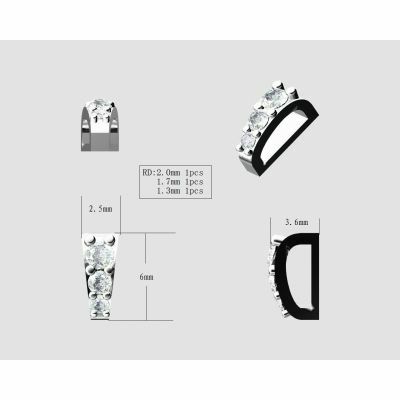 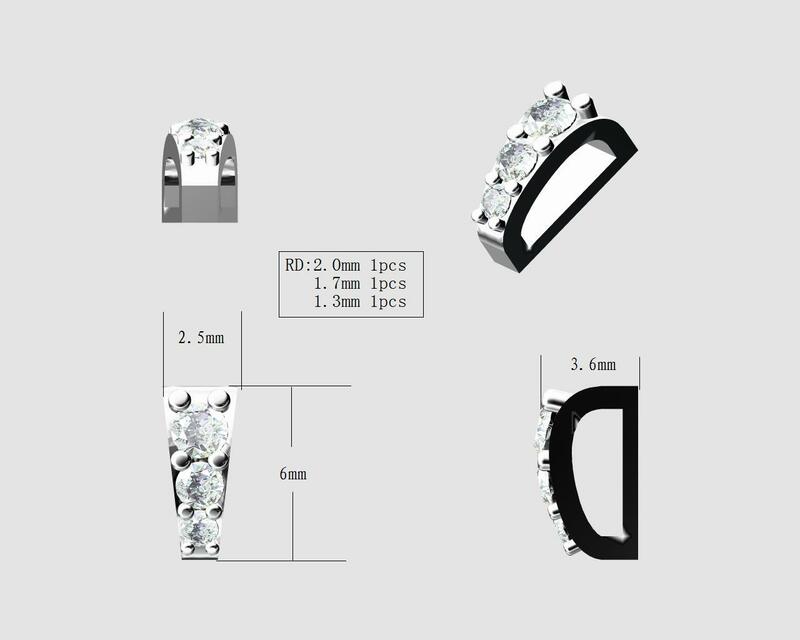 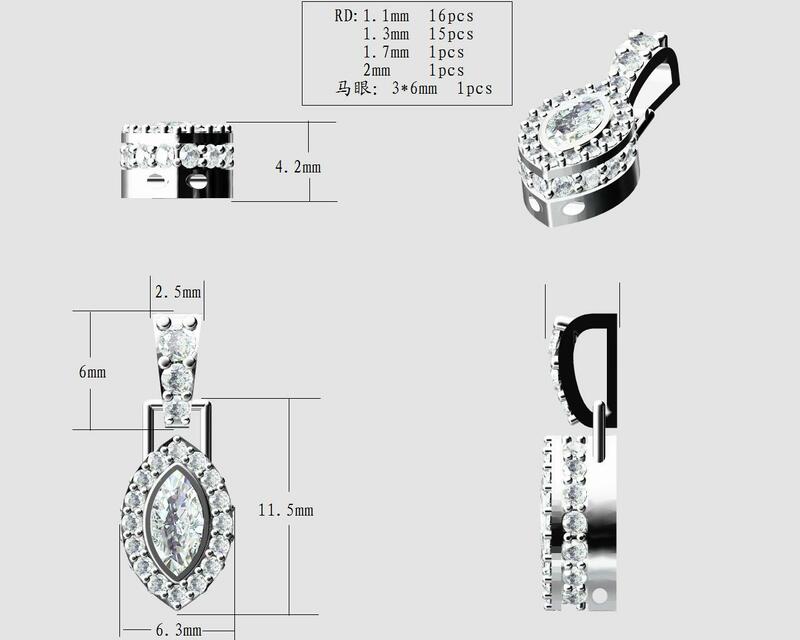 The bale contains one round 2.0mm stone, one round 1.7mm stone, and one round 1.3 stone all set in solid rhodium plated sterling silver.